To sell well, you must buy well. That is not everything, however. The Group’s success is also down to its in-depth understanding of the satellite professions in the textile production chain and its ability to develop synergies. Retailing and distribution have been in our blood since the creation of Vetimod in 1981. 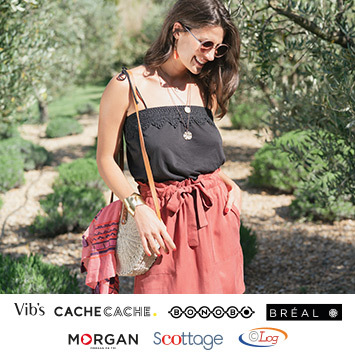 Today, through its brands, Cache Cache, BRÉAL, Bonobo, Scottage, and Morgan, the Group reaches 50,000 customers a day. We adapt to fashion trends in real-time thanks to our testing and market intelligence tools. We improve our sales and customer satisfaction levels season after season. Market studies, research and development, international consulting…, the consulting division “Circuit Court Conseil” provides our affiliated brand managers and company directors with studies and trade expertise. Our logistics expertise was rewarded in 2009 with the “King of the supply chain” award, presented to C-Log, our logistics subsidiary. From its 5 nationally-based warehouses, including two in Brittany, C-Log delivers over 300,000 articles a day for the Beaumanoir brands and also deals with all the logistics for Eden Park, Paule Ka, Maje et Sandro. For 3 years C-Log has been preparing the package process for online sales. A “B to C” activity in full boom, managed by the new subsidiary Korben, which is responsible for E-Business.